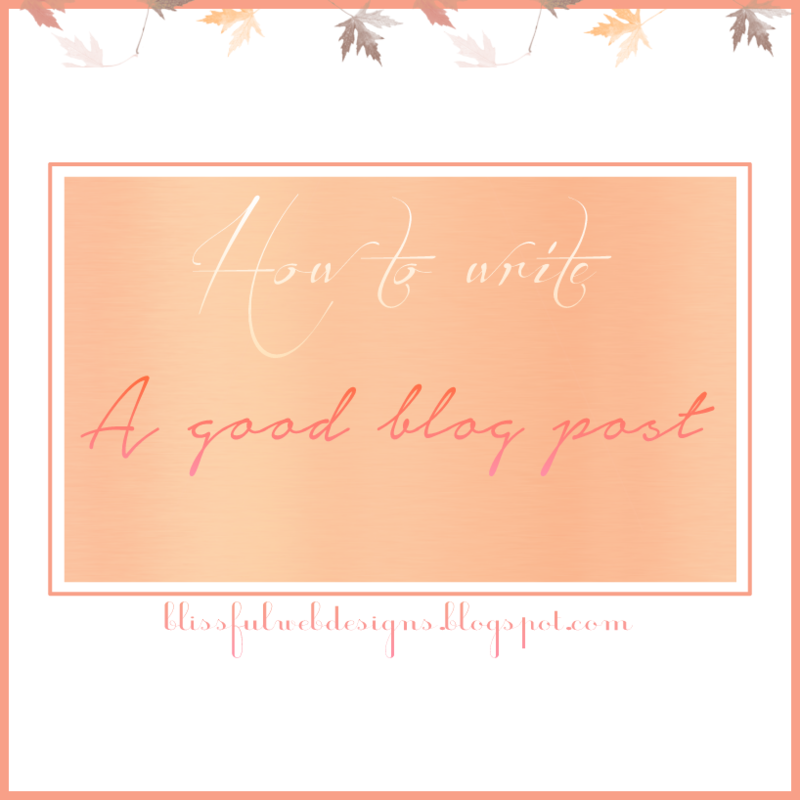 Today I'm going to share some tips with you that will help you in your process of writing a blog post. • Before writing a blog post,always write a rough draft of the post.It helps you to organize your content and you can easily recall missed out points. • Think of a topic or name for your post only after writing down your post because whenever you go through or proofread your post before publishing it,you always think of better name e.g,if I ask you to name a perfume,you'll think of a name that would not include the properties of the perfume's contents and may not necessarily be the best appropriate name for it.But if I show you a sample of it and you see that it smells of lavender and looks lilac in color ,you might be able to think of a better name e.g Blooming Lavendar.The same thing works for your blog posts as well. • Avoid using a lot of heavy pictures that might slow down your blog and make your readers want to leave your page just because of slow loading time.Always make collages of your pictures.They really reduce the loading time. • If you are creative enough,make a media kit for your blog which includes a logo,an image for post title(like the one I used for this post) and a Facebook cover photo that truly reflect the content and spirit of your blog.If you want your blog to be really famous and successful ,its the most important thing that comes after a good blog design. • Lastly,always use a good blog design/theme/template with a lot of white space and a nice design that will attract readers and make them want to come back to your blog over and over again. If you need help with blog design,or media kit design,send me a message on my contact page.